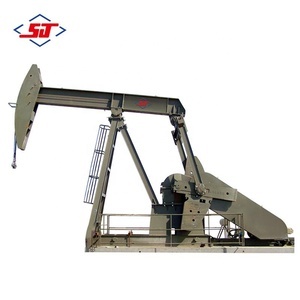 Dongying Kangya Petroleum Equipment Co., Ltd.
Puyang Star Petroleum Machinery Co., Ltd.
2. The structure is simple and reasonable, and it works smoothly with lower noise, easier to install and maintain. 3. Walking beam is a box or welded H steel beam with high strength, good rigidity and heavy capacity. 4. Self-aligning bearing is used on equalizer to reduce mounting error and operating vibration. 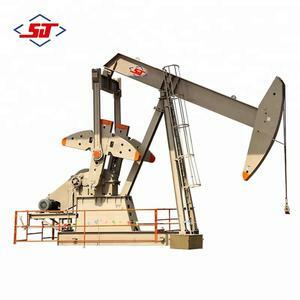 Found Petroleum Machinery Co., Ltd.
Dongying Jiuming Machinery Equipment Co., Ltd. The beam has box type or flange steel structure with high intension, good rigidity and large load ability. The beam and crank pin bearing adopt tip bearing structure to decrease the shaking due to the install difference and operation of pumping unit. 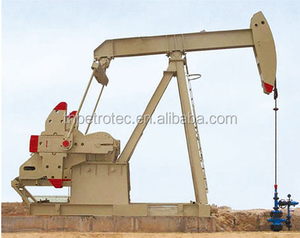 The pumping unit adopts tower structure with great stability and easy to field installation. Henan ZYZJ Pump Equipment Co., Ltd.
2. Gear reducer is involute herring-bone gearing,work smoothy and reliably. 3. The complete machine with light weight, it's convenient for installation and transportation. 2. Grear reducer is involute herring-bone fering, working smoothly and reliably. Henan Dongfanglong Trade Co., Ltd. 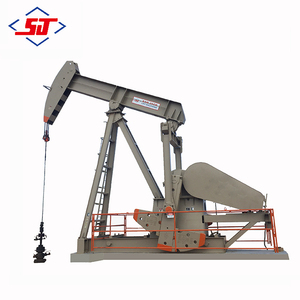 In addition to the common advantages of conventional beam pumping unit, the unit has advantages of long in stroke length, small in dynamic loads and variation of the torque,high in efficiency, low in energy consumption, smooth in operation and easy in start, etc. A multi-purpose electric cabinet is incorporated in the unit, which has the functions of short circuit protection, overload or underload protection, offset without work, automatic start after power resuming, over speed control of the motor, etc. As compared with the same model of conventional pumping unit, it increases the stroke length by about 70%, reduces energy consumption by 20-30% and decreases unit installed capacity by about 50%. If there is no packing demand we take it as our regular exported standard packing. We will recommend you the most suitable model according to information you offered. There will be strict inspection and testing for every order before shipping out. 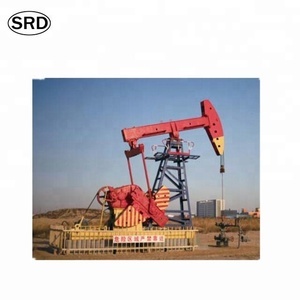 The group is mainly oil machinery and equipment manufacturing, engaged in domestic and foreign trade integrated enterprise. Product main features 1. The machine has reasonable structure, stable working, low noise, easy operation and maintenance. 3. The reducer adopts the herringbone or double circular tooth gear involute, processing of high precision, strong carrying capacity, long service life. Alibaba.com offers 747 beam pumping unit products. About 89% of these are oilfield pumping unit, 1% are pumps, and 1% are testing equipment. A wide variety of beam pumping unit options are available to you, such as free samples, paid samples. There are 743 beam pumping unit suppliers, mainly located in Asia. The top supplying countries are China (Mainland), Ukraine, and United States, which supply 99%, 1%, and 1% of beam pumping unit respectively. Beam pumping unit products are most popular in Mid East, North America, and Domestic Market. You can ensure product safety by selecting from certified suppliers, including 747 with Other, 579 with ISO9001, and 441 with ISO14001 certification.